The Sky BIlling module can be added to any Sky DANCE system. It features a fully integrated Billing Solution for Sky DANCE based on the ASTPP project. It supports pre-paid and post-paid billing with call rating and credit control. 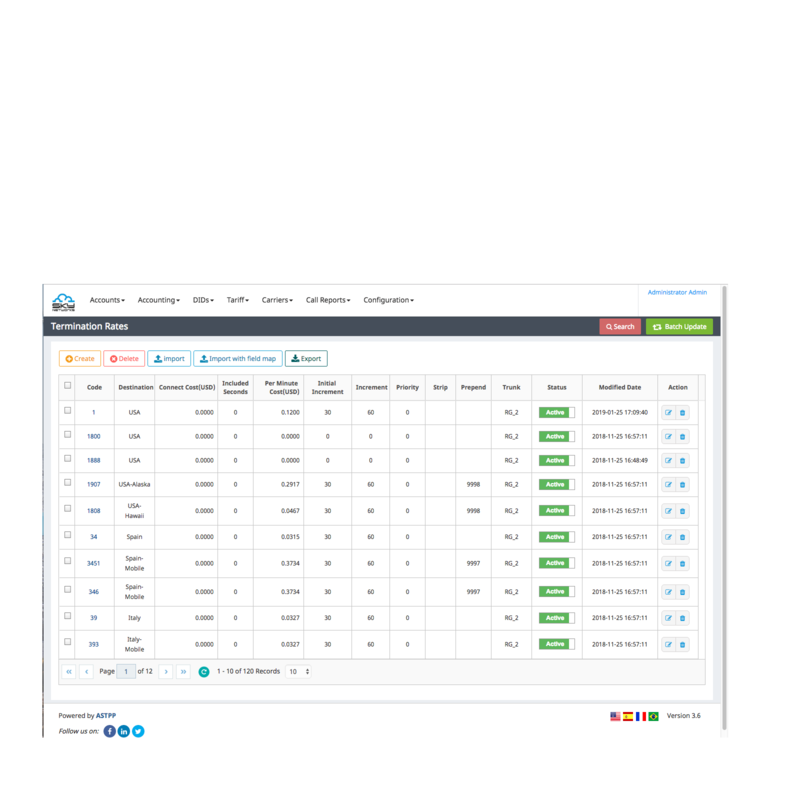 It also provides many other features such as calling cards, dynamic least cost routing (LCR), DID management, resellers management and more.